Getting into college is more than just good grades. Students need to make themselves stand out through extracurriculars and standardized test scores. Students can easily diversify their extracurricular portfolios through sports, clubs, and teams, but increasing SAT and ACT test scores isn’t as easy, though very doable. Both the SAT and the ACT are widely used standardized tests for college admission. Generally, the higher the score on one of the tests, the more likely a student is to be admitted to a college or receive a merit scholarship or grant that considers academics and test scores. Due to the high demand for resources to prep for these exams, it can be difficult to determine which prep resource is best. Below are our recommendations for online, classroom, and print prep resources for you to consider for your student. For those who do best with in-person instruction, and the more expensive option, enrolling in test prep classes for either the SAT or ACT may be a good option. If in-person instruction is what you want, you can’t go wrong with either of the below options. Kaplan is one of the most recognized names in test prep. With locations across the country, your student can attend live instruction in a series of classes and receive individualized coaching. But, these come at a hefty price of $899 and $1,299 respectively. The Princeton Review is another well-known player in the test prep circle. They have multiple options and price points for students and families to consider when evaluating in-person options from $899 to $1,399 or $150 per hour for tutoring. The internet is a home to a plethora of resources as well. From practice tests and questions to online courses, you can find any option online to fit your needs to help prep for the SAT or ACT. 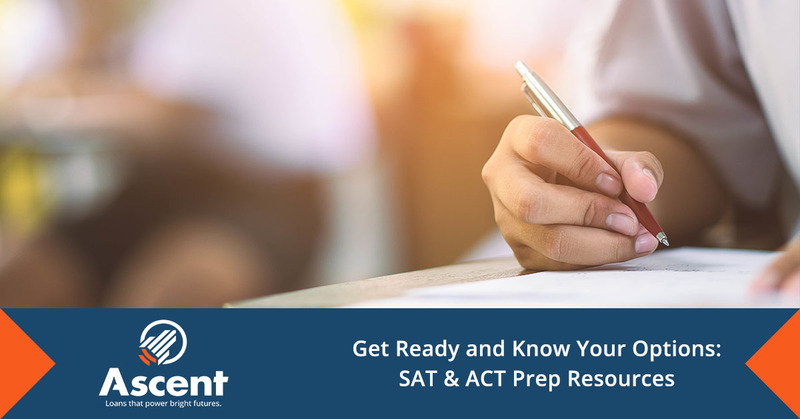 CollegeBoard and the ACT websites should be your first stop for online prep resources. Both sites have a variety of prep resources including sample tests and questions, study guides, and more. These resources vary between being free or paid-for depending on the level of support and other resources you opt for. If there isn’t room in the budget for a paid option, there are plenty of free tools on these websites as well. PrepScholar integrates resources for all of the standardized tests that you can think of: SAT, ACT, SAT subject test, PSAT, GRE, and GMAT. If taking both the ACT and SAT, using a site like PrepScholar allows you to study for both on the same platform. And like CollegeBoard and ACT, their resources run from free to paid for one-on-one counseling. Kaplan, most known for their academies for in-person instruction, are also online. Kaplan offers a comprehensive suite of free resources online. Like Kaplan, the Princeton Review also has online options including online courses, but none of their options are free. If opting for a book resource instead of a course, make sure to remind your student of the importance of planning and self-discipline. This prep method is best for students who can efficiently learn independently, but there are only two that are published by the actual creators of the exams. The Official SAT Study Guide is the gold standard for SAT test prep being designed by the CollegeBoard itself. It is the only printed resource published by CollegeBoard and offers 8 practice tests written in the same method as the actual SAT. The Official ACT Prep Guide, published by ACT, should be the most trusted resource for ACT prep. This book includes four full tests, 400 additional questions, and helpful advice for taking the test and prepping for the test.